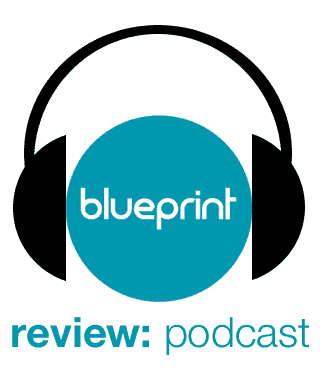 After getting in touch with a specialist promotions firm I’ve finally got the ball rolling on something we’d planned on doing here at Blueprint: Review since our launch two years or so ago, reviewing film soundtracks. We’ve got a handful of them in the pipeline to launch the site section, but with Ridley Scott’s Prometheus hitting cinemas this weekend I thought I’d kick things off by posting my review of a recent re-release of the soundtrack to Scott’s 1985 film, Legend. The score for Legend, like the film, has a complicated history. With Ridley Scott’s film getting manhandled by the studios, the film ended up having a different version in Europe as it did in the US. Due to this the film also ended up having to have two scores produced. The original score was actually by the great Jerry Goldsmith and was used in the European release as well as in a later released directors cut. The original US theatrical and home video releases however had a score composed by German electro/prog-rock legends Tangerine Dream who were brought in late on in post-production to replace Goldsmith’s score. The version I am reviewing is a new re-interpretation of this soundtrack by composer Brandon Verrett. 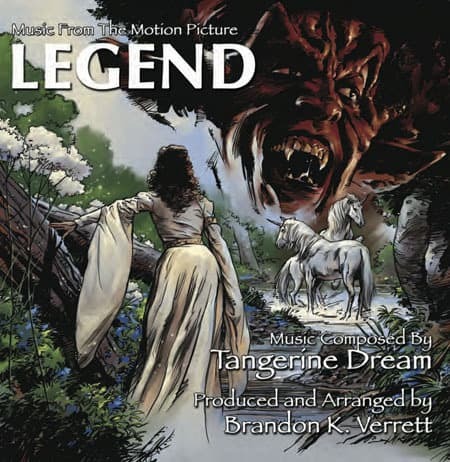 After being approached to arrange the “Unicorn Theme” from the Tangerine Dream soundtrack for a digital single, Verrett was pleased with the result and had the idea of recreating the entire album. 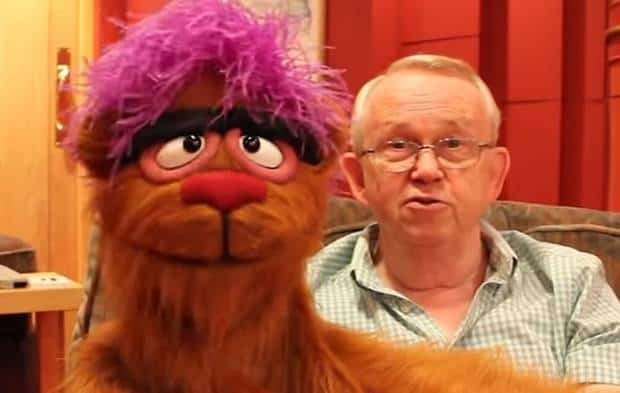 As he puts it, “our original intent was to take the conception of the original Tangerine Dream tracks and arrange them in such a way that they feel organic, earthy, and more contemporary while still capturing the essence of the originals.” The original soundtrack also contained two songs featured in the movie: “Loved by the Sun,” sung by Yes singer Jon Anderson (a lyricized version of “Unicorn Theme”), and “Is Your Love Strong Enough”, performed by Bryan Ferry and heard over the end credits. On this recording, singer Katie Campbell interprets these songs in her own fashion. I must admit I haven’t seen the film in a long time, but it is something I had fond memories of as a child and the re-worked score still seems to fit the vague images I have in my head of the unicorn-centered fantasy elements and the over the top 80’s extravagances. The most iconic image of the film is Tim Curry in rather impressive make-up as Darkness (pretty much the Devil himself) so I expected some much darker tracks too, but my memory of the film’s tone is much too hazy to comment on that. As Verrett intended, the new arrangement does sound much warmer and more modern in its sound whilst retaining many of the synthesised elements. Generally, at least in the first half of the album, the music is is quite delicately lush and beautiful, with a pastoral sort of feel. It’s suitably ethereal with pan pipes cropping up here and there as well as some Medieval sounding guitar flourishes and harpsichord. The score has a nice build to it too with these ethereal passages opening the soundtrack, then a funky, tribal-sounding action cue comes in at the end of the “Unicorn Theme” and into the opening of “Goblins”. After this, we get a few darker and more fast-paced tracks. As the sound grows, more synth instruments and electric guitar are introduced. This starts to date the music as it goes on unfortunately, but it remains fitting to the film and once you get past the initial jar of the guitar licks (they just make me think of Top Gun) the cues are still solid if a bit reminiscent of video game music. Things take a turn for the worse though when the songs kick in at the end. The last three (main) tracks of the score are all songs and these haven’t dated well, despite their modern re-workings. I didn’t think much of “Loved by the Sun” or “Unicorn Song” at all with their shoddy lyrics and cheesy balladry. I found the last song, “Is Your Love Strong Enough” just about bearable at least. Luckily, after the songs there are four wonderful alternative versions of some of the previous cues to prevent a sour aftertaste to the experience. These are much more traditional soundtrack-style interpretations of early tracks that work very well, going back to the lush fantasy style that I enjoyed more than the later synth-laden cues. Overall the soundtrack stands up well, helped largely by the modernising from Verrett. It lacks any really strong melodic hooks to be truly memorable, but it’s varied and at times quite delicately beautiful. Just skip the songs unless you have a penchant for cheesy 80’s ballads. Legend will be available digitally on June 12th and on CD (limited edition 1500) on May 21, 2012. No worries – I hope it came across as fair. I loved most of the score, but the songs put me off a little.